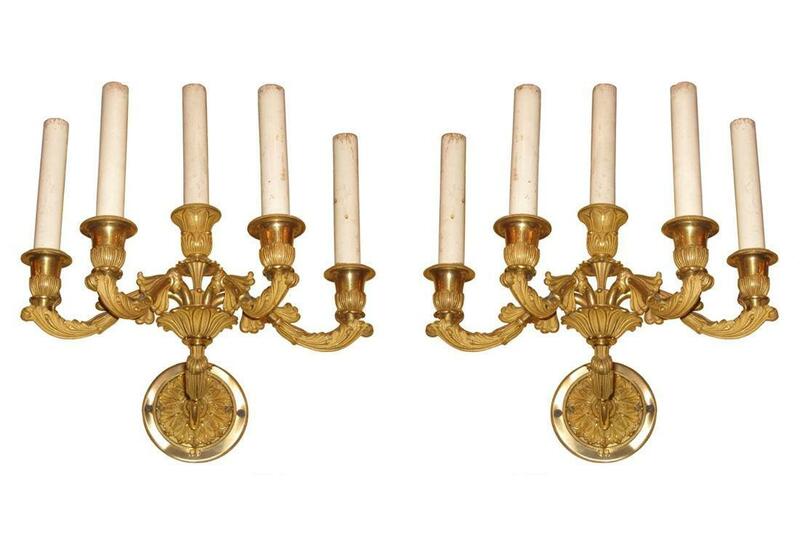 This pair of lovely antique gilt bronze sconces in the French Louis XV style feature five candle arms, and were exceptionally cast and finished. 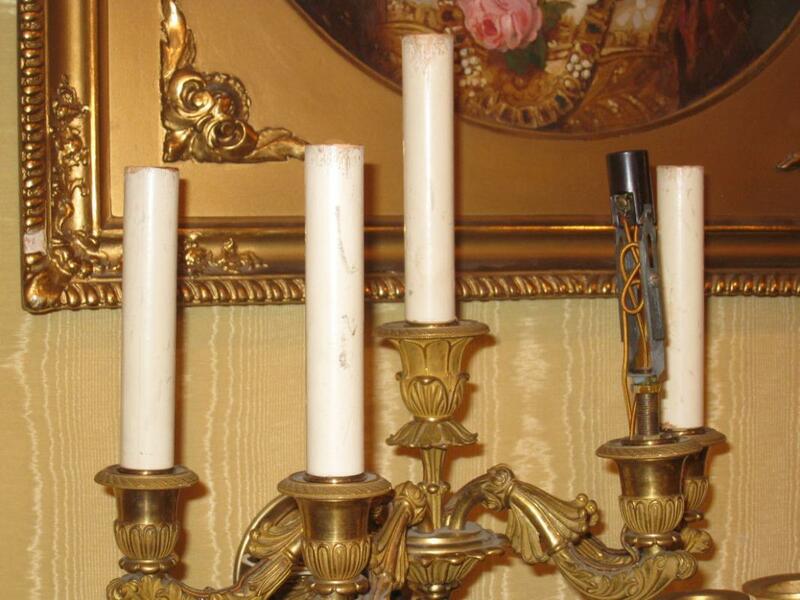 They have remnants of old cloth-sheathed wiring (dating from prior to 1930) and old five inch tall candle covers. 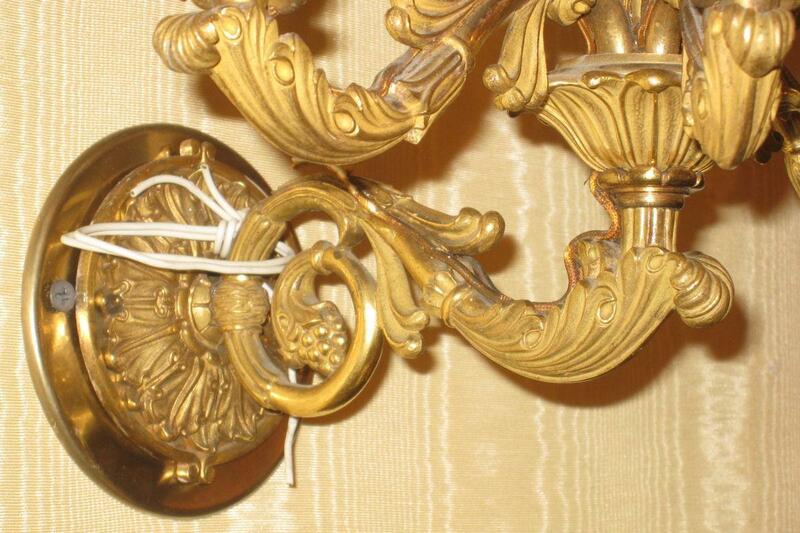 We will be happy to add new sockets, rewire and add new candle covers for an additional fee. 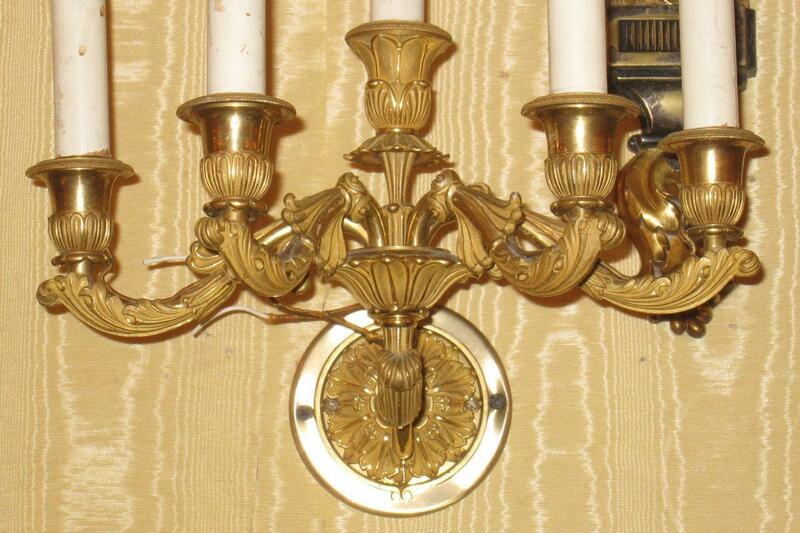 Measures: 13 in high, 12 in wide and 5 in deep; 33 x 30 x 13 cm. 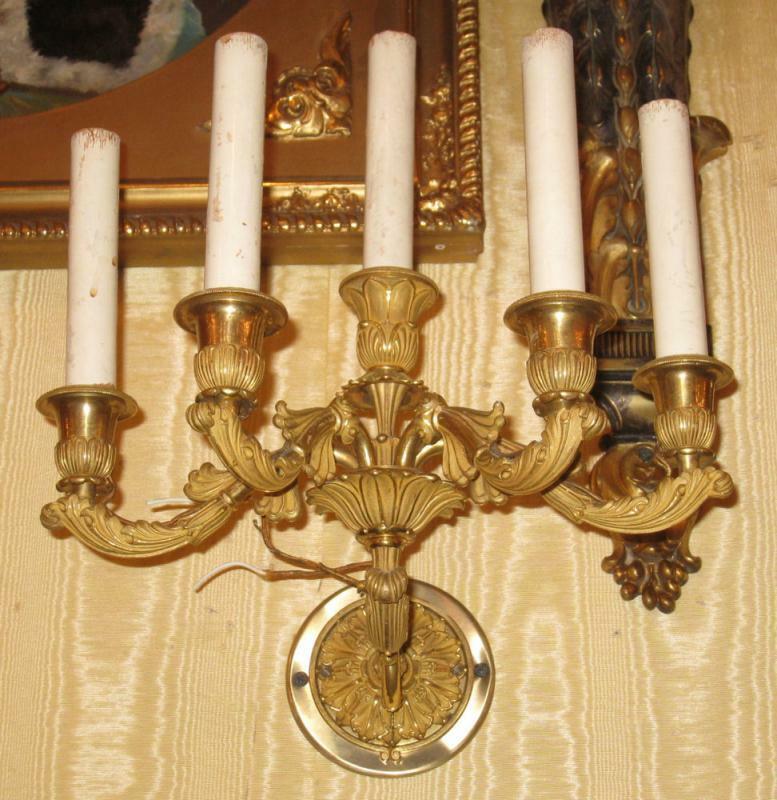 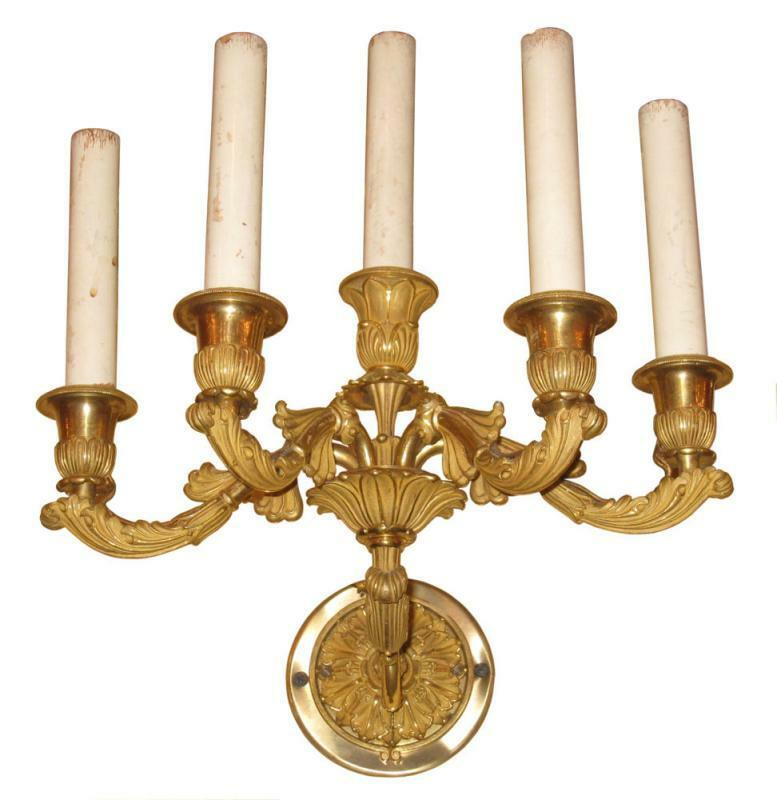 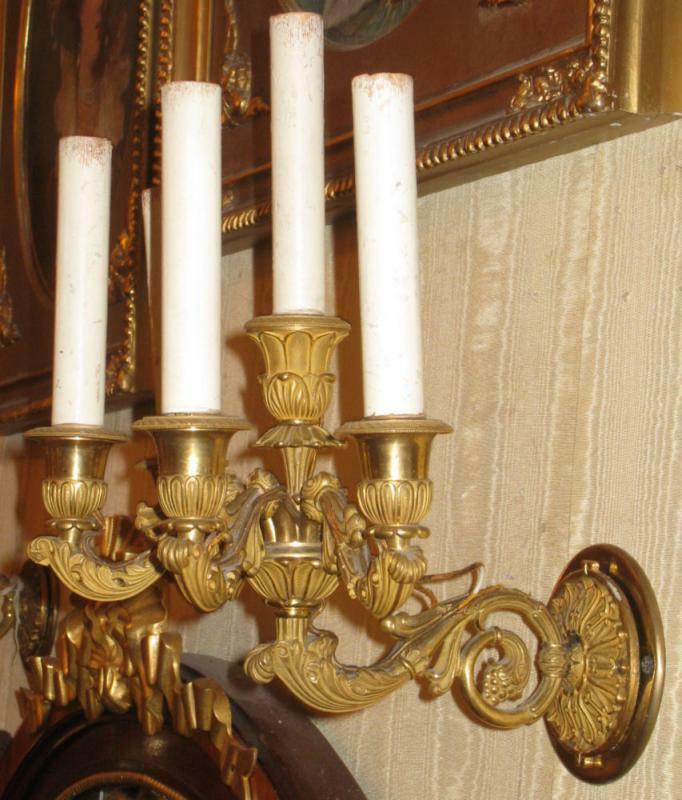 Items Similar To "Pair French Louis XV Style Gilt Bronze Neoclassical Sconces"